AltaRock staff have been busy planning and organizing for the summer field season, testing field equipment and getting the Newberry EGS Demonstration site ready to roll. AltaRock Energy recently welcomed Todd Kjellesvik, Project Facilitator, to the Newberry EGS Demonstration. Todd will be working in the field and from the Bend office to keep the Newberry field activities moving forward over the coming months. Todd has extensive experience in the geothermal, oil and gas, and most recently the environmental industries. 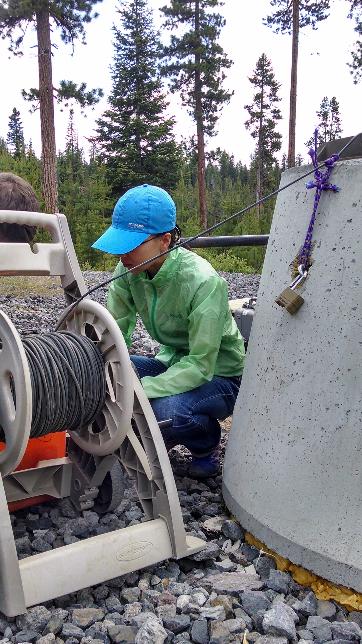 Our summer interns, Morgan Ames, Zhang Wei and Ma Feng have also arrived in Bend. We’re excited to work with them on many aspects of the Newberry EGS Demonstration as they learn more about geothermal energy development practices. As part of our groundwater monitoring program, AltaRock samples water from a number of sites surrounding the Newberry EGS Demonstration field site. 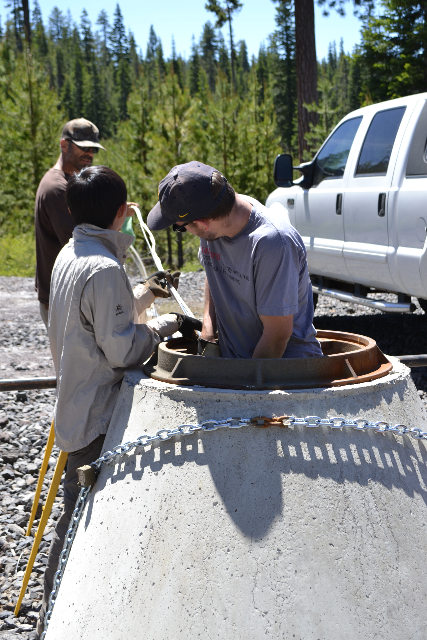 The Newberry EGS Demonstration was carefully designed by hydrologists and geochemists to protect the local groundwater system, and the water samples we analyze help us ensure that this valuable resource remains so. Over the coming months, we’ll continue to collect groundwater samples from a number of sites, adding to the existing geochemical data set established for the Newberry EGS project. 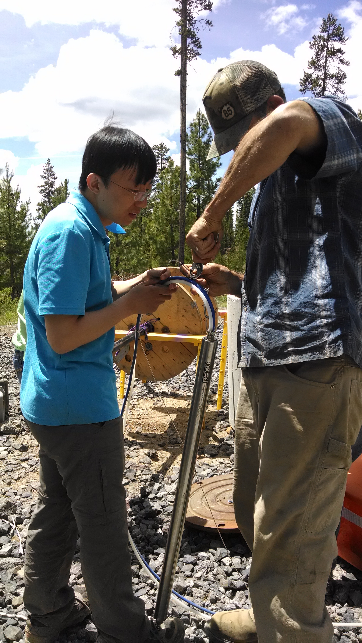 Our summer interns have been a great help in testing the water sampling equipment this spring, and will continue to be involved in the groundwater sampling program. We’re happy to report that the MSA has held up very well over the past winter, and continues to provide excellent data. We’d like to thank everyone who stopped by our booth in the Conscious Living Showcase at the Bend Summer Festival. We had a great time talking to all of you, and got to hear some great stories about Newberry over the weekend.